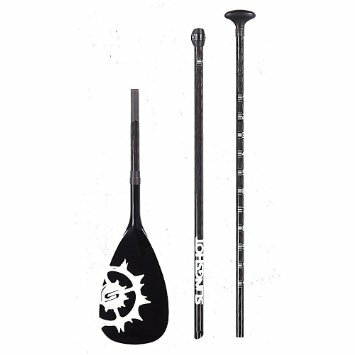 The Travel SUP Paddle is fully adjustable and ranges from 66” to 97” heights, as well as breaking down into three pieces for easy carry and pack options. 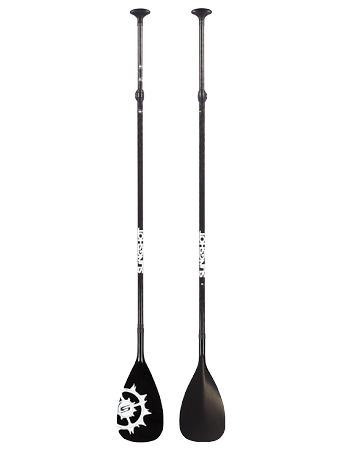 The perfect paddle that you can share with friends and family as it adjusts to almost any height, short or tall. 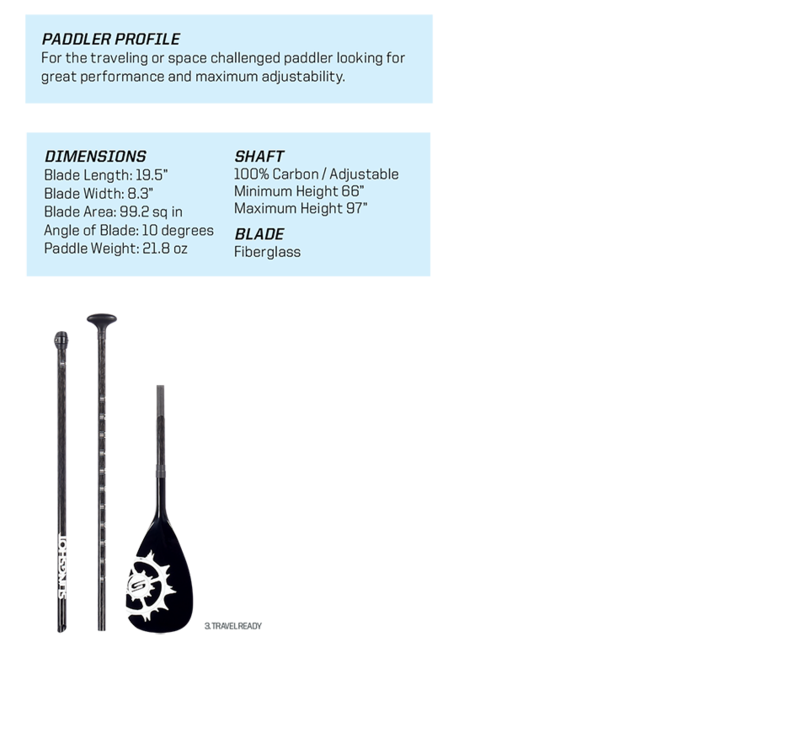 It’s also very efficient offering gentle power and a smooth easy stroke as it has the same blade dimensions of the Slingblade.